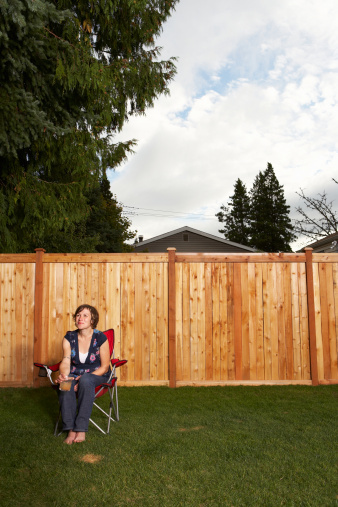 There are many benefits to adding a fence to your property. There are so many diverse applications for fencing that choosing the right one for you can be overwhelming. Iron, vinyl, and chain link are all popular amongst homeowners, while wood is a longtime favorite with a classic appeal. Wood fence has innumerable applications because it can be cut to any size or shape and be painted to be any color. This is why wood fence is commonly used on a vast number of properties. You can achieve that classic white picket fence look and numerous others. Wood fence is a material with numerous benefits. Wood fence is one of the most affordable materials you can build a fence with. Other popular options, including wrought iron, are far more expensive to produce and time-consuming to install. If you’re looking for a beautiful fence that will stand the test of time, choose wood. Professionally installed wood fence can last for decades when given the proper care and seasonal maintenance. This type of fencing is an amazing investment for your property, as it will add both monetary value and a comforting warmth. Wood fence is infinitely adaptable. It can be painted any color or stained in any shade to suit your personal tastes, needs, and landscape design. This means that you don’t have to worry about whether or not your fence matches the rest of the landscaping and hardscaping involved in the look of your property. Wood fence does increase your home’s curb appeal, but it also does a lot more for your home than you’d think. Aside from delineating boundaries in a stylish way, a protective element, and being infinitely customizable so that your fence has no problem easily keeping up with the evolution of your property and changes in your taste, it increases the property value significantly. A beautiful wood fence can set your home far above the competition if you are trying to sell it. This entry was posted on Wednesday, February 17th, 2016 at 6:40 pm. Both comments and pings are currently closed.